Hey guys! Back to school may have started for many of you and if not, it’s just around the corner! 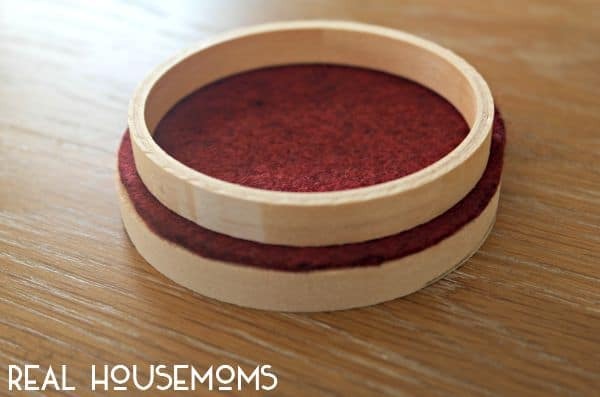 Whether it’s started or not, today I’m sharing a fun little craft idea to surprise your child’s teacher with or to enjoy yourself if you’re a teacher! 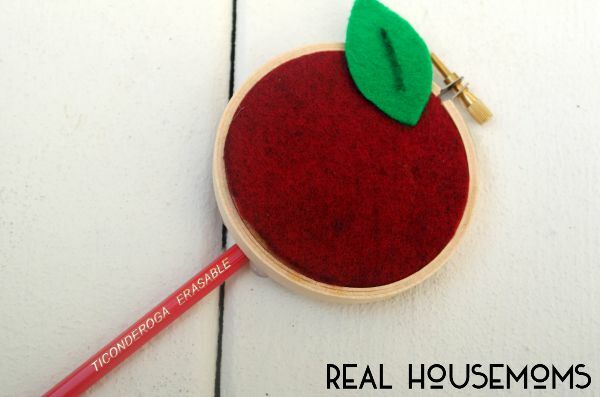 We’ve all seen those cute flower topped pencils that are handcrafted, so I thought…why not handcraft some apple topped pencils with embroidery hoops? 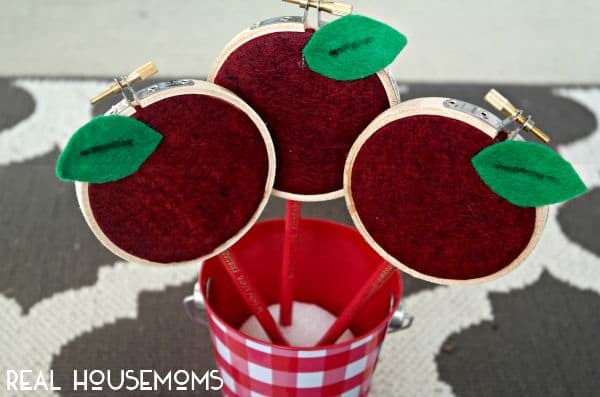 Check out how easy these Mini Embroidery Hoop Apple Pencils are to make! The embroidery hoops have an inner and outer layer and a pin at the top to loosen and tighten them. 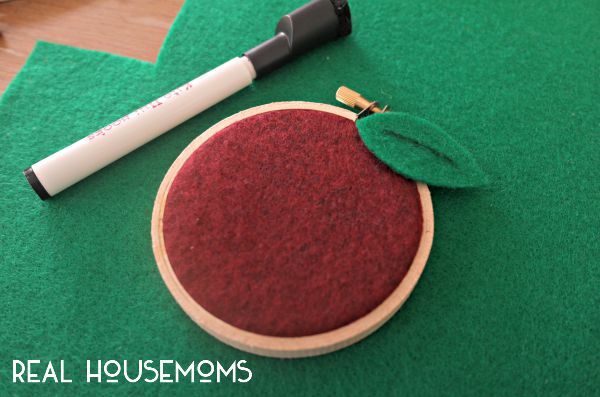 Start by tracing the OUTSIDE of the hoop onto your piece of red felt. 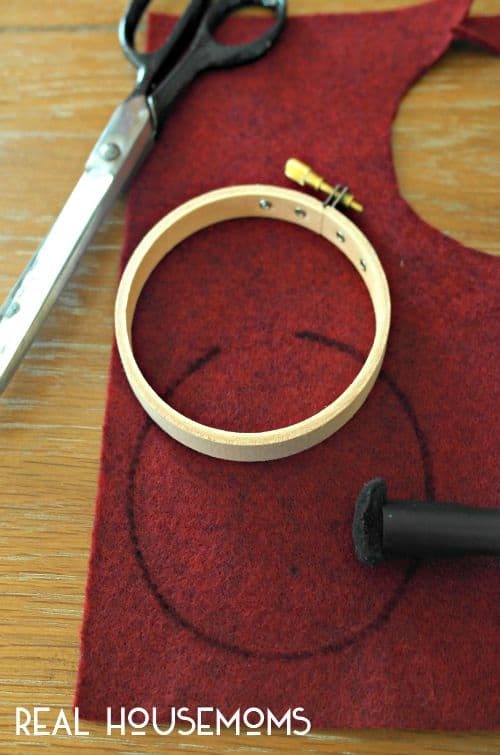 Once traced, cut it out and place it around the inner layer of the embroidery hoop. Stack the inner layer, with fabric in between, onto the outer layer and gently push down to combine. 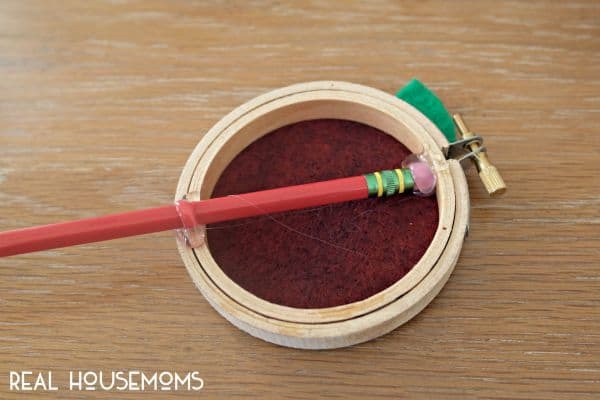 You may need to loosen or tighten the hoop at the top to accomplish this. After they are secured, then you cut out a little green leaf and hot glue down. 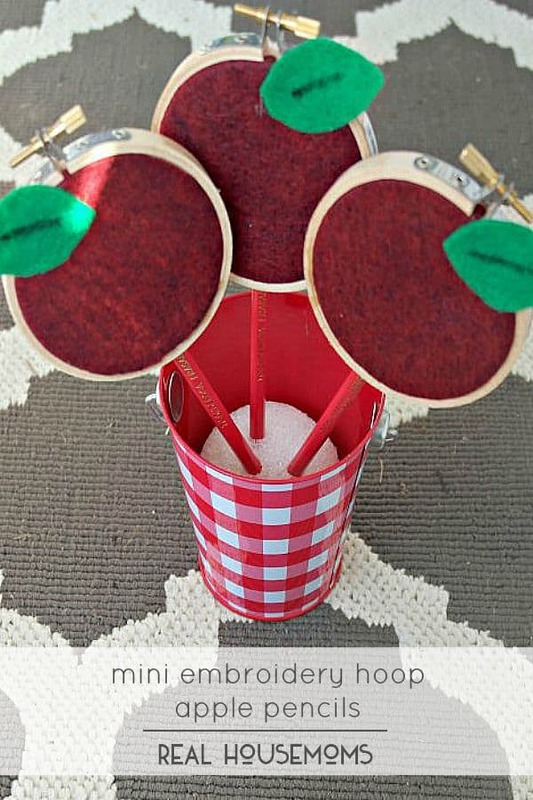 Finally, I had a cute little checkered tin, so I hot glued a piece of foam into it and used it to prop the apple pencils up so that your teacher has a fun way to display her apples! !